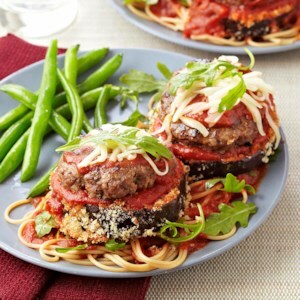 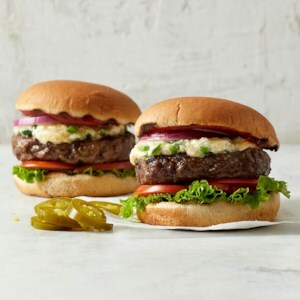 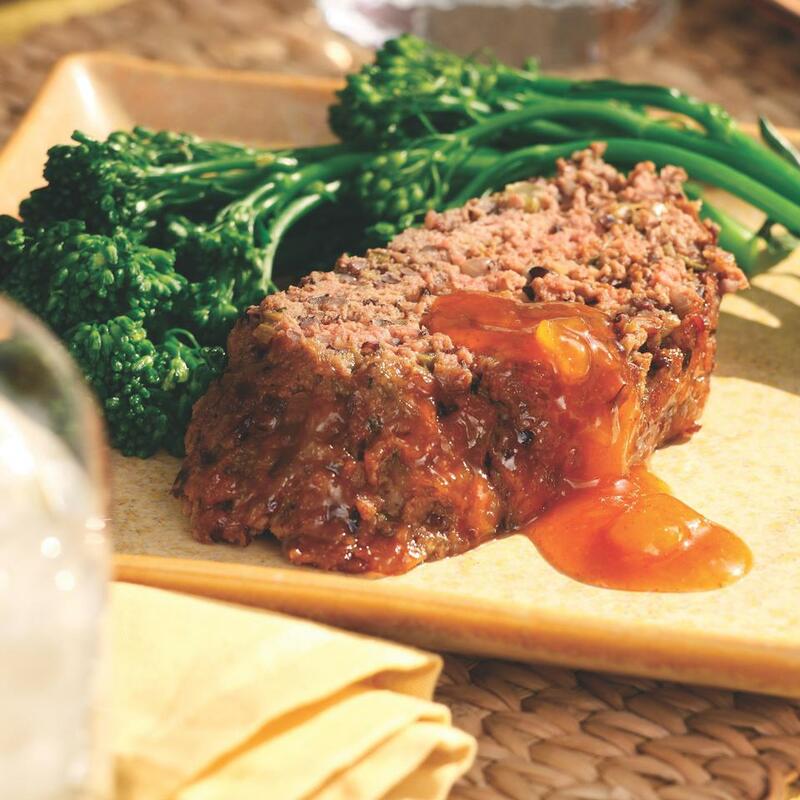 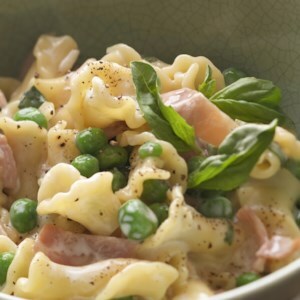 Find healthy, delicious recipes for main dish with meat, including meatballs, meatloaf and casserole recipes, from the food and nutrition experts at EatingWell. 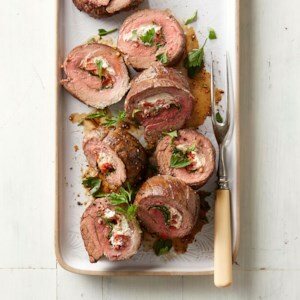 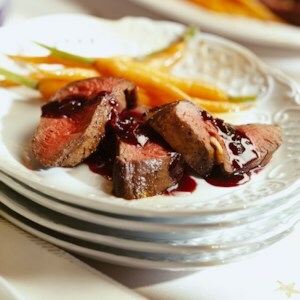 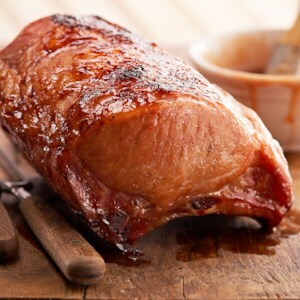 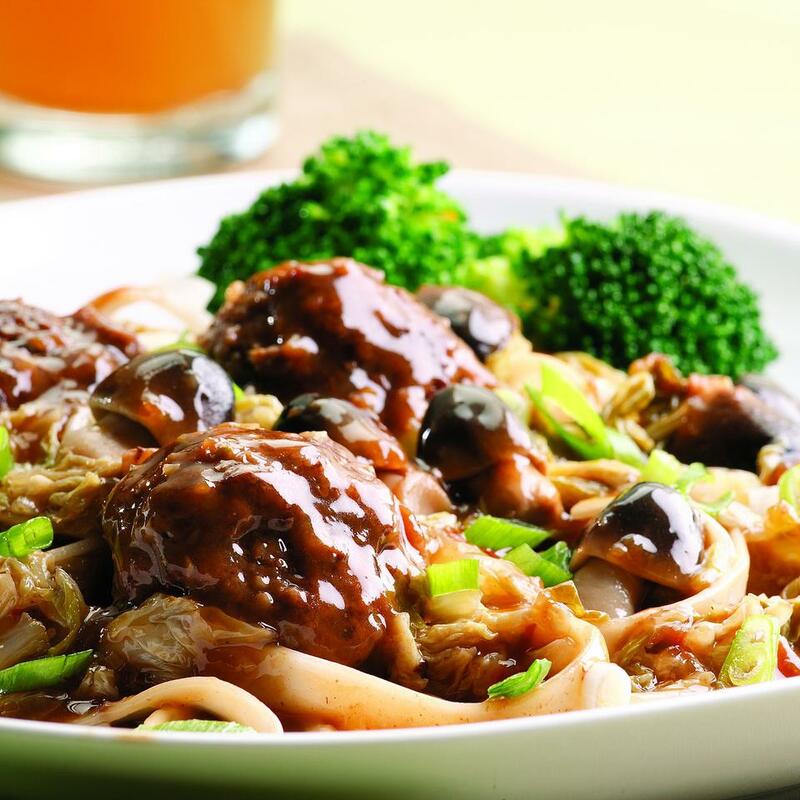 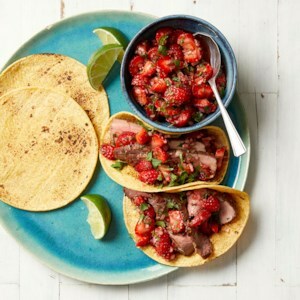 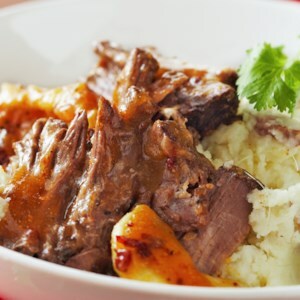 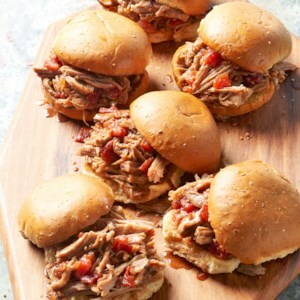 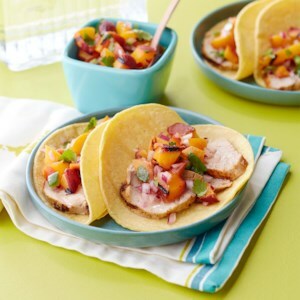 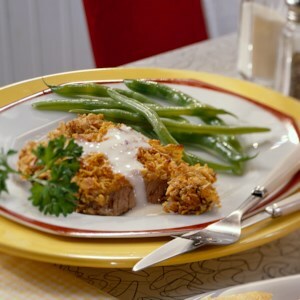 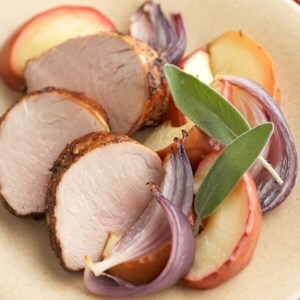 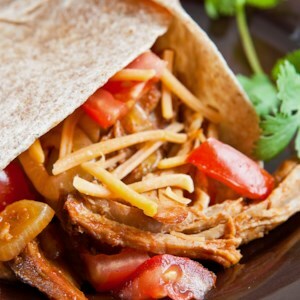 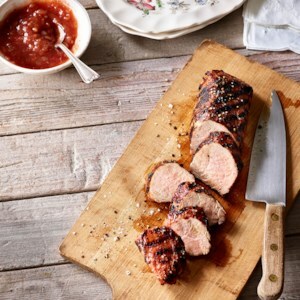 This elegant pork recipe is easy to prepare and a nice choice for your next dinner party. 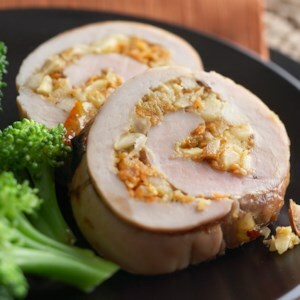 The fruity stuffing provides a swirl of color in each slice and offers a sweet, nutty taste which contrasts nicely with the tender pork. 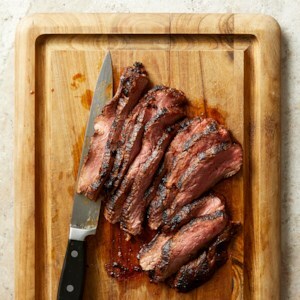 Let the roast stand for a couple of minutes before slicing it across the grain on a slight diagonal. 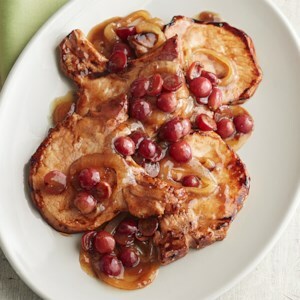 A fruity-tart sauce made with balsamic vinegar and red grapes is a perfect topping for sautéed pork chops in this simple 25-minute recipe. 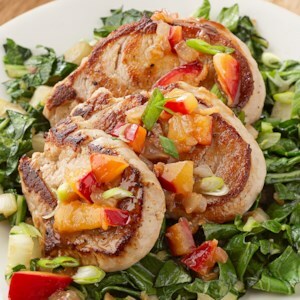 Pork tenderloins topped with an Asian-inspired plum chutney and served over wilted bok choy will delight everyone at your table. 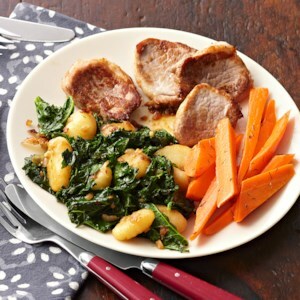 If you don't have bok choy on hand, substitute sautéed spinach or kale. 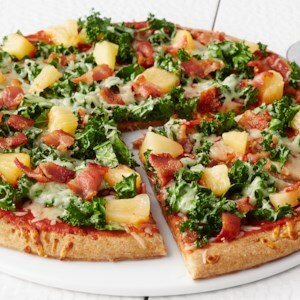 This homemade Hawaiian pizza can be on the table in just 20 minutes and thanks to the bonus addition of kale--has more fiber, calcium, and vitamin K than takeout.